150 pages | 8 B/W Illus. 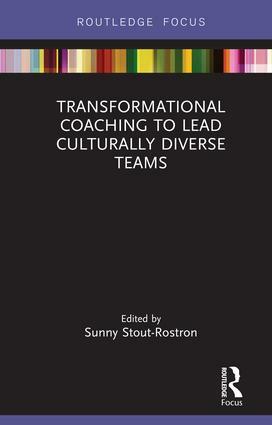 In this book, Dr Sunny Stout-Rostron examines real-world experience and the contemporary literature on group and team coaching. She analyses how team coaching can guide coaches to help leaders and teams flourish in complex, culturally diverse organisations. As well as presenting a variety of team coaching models she also presents her own model, High-Performance Relationship Coaching, the result of many years of working with global corporate teams. "This book is a well-researched synthesis of contemporary literature on group and team coaching, woven together with evidence from recent organisational case studies and the author’s own extraordinary insights. As an immensely practical go-to-guide for any professional in the leadership development space working with teams and seeking to build requisite leadership team capability for any organisation to thrive in a complex, culturally diverse world, this is a must-read!" – Sandri van Wyk, Chief Advisor Leadership Development, Human Resources, Eskom, South Africa. "The book includes practical cases and an introduction to the latest team coaching approaches. You will find relevant concepts of team coaching, and how to cope with the challenges of the technological revolution, starting with the effective and robust concept of transformative leadership, together with approaches for transforming organisational cultures and even on management of diversity and culture in modern international teams. Have you ever heard of Ubuntu Coaching? Certainly not, but if you read the special chapter, like me, you can learn from African practices how to use a very pragmatic transcultural approach to working on themes in teams. In addition, you will find a concept of Relationship Systems Coaching and a High-Performance Relationship Coaching Model. Sunny Stout-Rostron is founder of Sunny Stout-Rostron Associates CC, a founding Director of People Quotient (Pty) Ltd, an Advisory Board Director with the Professional Development Foundation UK (PDF), a Founding Fellow and Research Advisor at the Institute of Coaching at McLean Hospital (a Harvard Medical School Affiliate) and Founding President of Coaches and Mentors of South Africa (COMENSA). Stout-Rostron coaches internationally. The Focus on Coaching series features books which cover an aspect of coaching particularly dear to the author's or editor's heart that they wish to share with the wider professional coaching community. The series editors are Windy Dryden and David A. Lane.